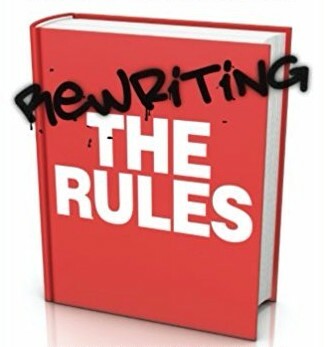 New Resource on Gender, Sexual..
Next year the second edition of my book Rewriting the Rules is coming out. As I was making the edits for the new (hopefully improved) version, I thought that the approach I took to relationships in the book might be useful to apply to lots of other things too, for example to certain times of year, or places, or feelings. What are the rules about this thing which are often taken-for-granted (by our wider culture, our communities, the people in our lives, and ourselves)? Why might it be useful to question those rules? What might we replace them with if they weren’t working so well for us? What would it be like to embrace uncertainty and to approach this thing without any rules? Given that the festive season is nearly upon us, and it’s a tough time of year for many people, let’s apply this approach to that. I’ll work through the questions with some of the common social rules that I’m aware of in relation to the festive season, but you might want to consider different rules that apply more to your situation. It’s important to be mindful that we all have different experiences of this season based on, for example, our family situation, our faith (if we have one), our cultural background, our generation and age, our mobility and health, past experiences over this period and more. That’s why the intersectional approach (which I’ve tried to take in the new edition of Rewriting the Rules) is a vital starting point. You must see your family at this time of year, probably in a very specific way such as staying all together in one place for a period of time, or zooming around making sure you see everyone. You have to show your love for each other through exchanging expensive gifts which prove how much you really know this person and their tastes. The festive season is ‘the most wonderful time of the year’ so you must be happy and have a merry time (and definitely not be a Scrooge!). So why might it be useful to question those rules? In relation to family many, if not most, of us have complicated relationships with our families, perhaps being estranged or distant from some or all of them, or simply not having any remaining family. Some people find that they always conflict with their family in unhelpful ways when they spend an extended period together. Some enjoy spending time with family but just find the attempt to pack all of them in to the same short space of time very stressful, for example if they feel they have to see the families of themselves and their partner or partners, or all of their extended family who live in different places. This is compounded for people who have little vacation time and really need to spend what little they have relaxing. Turning to expensive gifts, this recent article by George Monbiot is a good summary of the toll that – often unwanted novelty – presents can take on the planet and on the human lives of those involved in their production. Also many of us simply cannot afford expensive gifts due to the impact of the extended period of austerity we’ve been living through. And, even if we can, the pressure to find the ‘perfect’ gift to communicate our love can be intense and stressful. Finally, on feeling happy, many of us actually have good reasons to find the festive period emotionally tough, due to the aforementioned stressors and more. The time away from work – and the turn of the year – can get us reflecting on our careers in ways that are challenging, and time with our nearest and dearest can similarly prompt us to look closely on our relationships. Many people have painful anniversaries at this time of year – of bereavements and break-ups for example – and find that the festive rituals, sights, sounds, etc. can trigger distressing or traumatic memories. What alternative rules are possible? Given all these reasons to question the cultural rules of the festive season, what might we put in their place if we want to make some changes? We might get more intentional about who we see and how we see them over this period. For example, many people have found ways to shift family rules, such as deciding to see different family members on alternating years; having different days as their ‘Xmas day’, ‘New Year’s Eve’, etc. with different close people or groups; going away alone for the holidays – or doing charity work or a retreat at this time – in order to disrupt an ingrained family habit; or staying nearby but not actually with family so they can dip in and out of the festive fun depending on the parts which work for them. We could agree some limits on gift-giving with the people in our life. For example some people decide to just exchange small tokens, or to do ‘Secret Santa’ where you only have to get something for one person in a group or family. You can share wishlists online so that people know what you actually want, or give money to a person’s favourite charity instead of a gift. You might also consider making handmade gifts instead of buying them, or giving people tokens for an experiences they can have with you in future (e.g. tokens for a day out together, cooking them a meal, or giving them a footrub). You could decide to only ever give ‘I saw this and thought of you’ type gifts, rather than exchanging gifts at a particular time of year. In relation to feelings, all of that pressure to have a happy, merry, wonderful time paradoxically means that we’re less likely to experience the festive season in that way. You’ve probably experienced this yourself: when you put a lot of pressure on a specific day or period to be a positive experience it often feels less so because you can’t be present to what’s happening, and any minor mishap can feel like a crisis. Trying to make it a positive experience for absolutely everyone, and taking responsibility for other people having a ‘wonderful time’, turns up the pressure even more, perhaps meaning that you end up exhausted, or exploding, or missing out on the experience. One alternative to this is to think about all of the feelings that the festive period brings up for you, and to consider what your self-care needs are in relation to these. Do you need to factor in some time alone? What kinds of support might be helpful for you? What might you let other people know about things that you find challenging at this time of year? Most of the examples I just gave were about shifting the existing rules, or replacing them with other rules, but still with a sense that we need some rules around the festive period, and perhaps it’s not really okay to step away from those taken-for-granted rules entirely. I want to say here that it absolutely is fine to decide not to see family at all, or not to exchange any gifts, or to refuse to put a happy face on it, if those things don’t work for you. What might embracing uncertainty around the festive period look like, if we stepped away from rules entirely? In relation to family, you could reflect on Armistead Maupin’s concept of logical family. For many people – particularly those in LGBTQ+ communities – biological family are not our closest people. It really is okay to think about who – if anyone – we want to share this time with. Could you then open up an open, consensual conversation with your nearest and dearest about what is important for each of you around this period, and any limits around what you have the capacity for, or want to offer? Harriet Lerner writes very helpfully about how to do this kind of mutual, consensual communication if you find it hard. In the book that Jacqui Gabb and I wrote together, The Secrets of Enduring Love, we drew on Gary Chapman’s concept of love languages. This is the idea that people like to express love, and have it expressed to them, in different ways. Giving and receiving gifts is only one of those ways. Again you could open up a conversation with nearest and dearest about how you each enjoy expressing love and having it expressed, and what your limits are around this. You could figure out between you what will work best for all concerned – whether or not it is linked to the festive period. For example, it might be be about writing a list of all the things you’re grateful to somebody for, or agreeing to share a certain period of time together, or doing something particular with them. Finally, what about making the festive period a time during which all of your feelings are welcome, rather than only the ones our culture labels ‘positive’. Maybe you could share this idea with other people in your life too. You could even make time or rituals around allowing grief, regret, fear, and frustration, for example, alongside the more conventional festive feelings of peace, hope, love, merriment, etc. You could make the movie Inside Out one of your festive favourites because it’s such a great explanation of why this is important. My zine Staying with Feelings, might be helpful if this sounds like a useful approach to you. You’re absolutely allowed to embrace the ‘bah humbug’ as well as the ‘winter wonderland’.